This 379 yard dogleg right, par 4 requires an accurate tee shot. Push the shot a little and end up in the cattails. Pull the ball and end up in the mounds resulting in a wicked lie for the approach to the green. Trees frame the green with a bunker settled into the left front portion. The ideal tee shot is over the wetlands and between the two fairway bunkers. The green at this 372 yard, par 4 is flanked by bunkers. A lake is situated to the right of the green. However, the approach to the green is open and invites the golfer to try to hit it close to the flag. This par 3 plays adjacent to a beautiful lake which also wraps around behind the green. A large bunker looms between the lake the green. Playing to 194 yards, the wide opening to the green is a welcome sight. 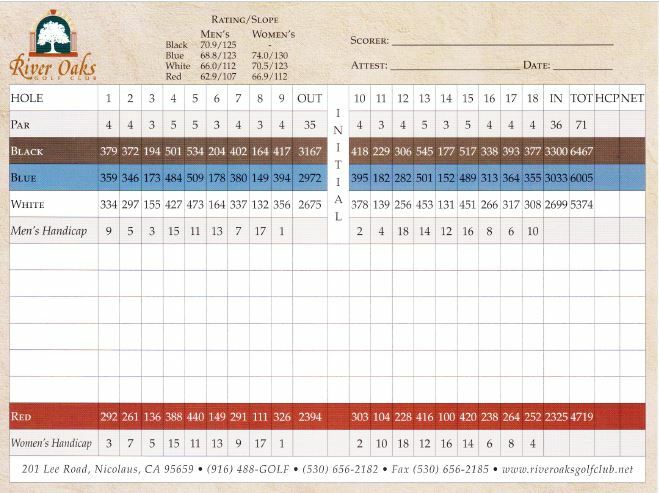 Back to back par 5’s provide a unique experience. At 534 yards and slightly uphill, this 5 par will certainly test your skills. The approach to the green can neither be too short or too long. The green is a peninsula with a single bunker at its right rear. This downhill par 3 plays to 204 yards. A simple straight shot prevents the golfer from straying into a bunker on the right side of the green. The approach area drops off sharply to the left of the green placing a premium on accuracy. A precise tee shot is required on this par 4. Two bunkers on the right and one on the left set up the landing area. The need for precise shot making confronts the golfer approaching this 402 yard hole. Putting can be a bit testy on the moderately contoured green. This par 3 is a mere 164 yards of contrasting grasses. The well-manicured approach and green are surrounded by waves of native grasses. The right side of the green is a forgiving second cut area. The front nine finishes with a tee shot to a wide and inviting landing area. Two bunkers on the right define the best possible lie. The approach shot on this 417 yard, par 4 finishing hole crosses a stream surrounded by lush, native wetlands, to a beautiful green, backed up by a stand of stately oak trees. A broad opening to the green is interrupted by one bunker at the right front of the green. A shot aimed left should remain safely on the putting surface. This 418 yard, par 4 hole is an extreme dog leg to the left beyond the oak grove. The two fairway bunkers direct the driver to the target landing area. To get off on the right foot, it is important to drive the ball in the right center of the fairway. A pulled shot puts the golfer at the mercy of overhanging tree limbs. The green offers a wide approach and gentle undulations. An intimidating par 3 that plays out of a chute of majestic oaks 229 yards over a sea of wetland grasses. A green side bunker on the right protects the right flag location. If the golfer chooses not to flirt with the bunkers, there is plenty of putting area to the left. Although this is a short 306 yard par 4, accuracy and good judgment is required off the tee. The golfer has the option of laying up with any number of clubs or going big by driving the green. The more conservative the golfer is with the tee shot, the more demanding the second shot will be into this small green. Even the best tee shot on this 545 yard par 5 leaves a second shot of 240 yards to an elevated green. The driving area is well defined by bunkers on both sides of the fairway. A deep bunker guards the front right of the green. This hole can be a tough challenge, if not played correctly. This innocent looking par 3 appears easier than it plays. The half hidden horseshoe shaped bunker in front of the green is very deceiving. A wide opening on the right can make this an enjoyable 177 yard experience with a solid shot. This is a short 517 yard, par 5. The drive is uphill over a scattering of bunkers. A lake borders the left side of the second landing area and green. Two bunkers are tucked left of green to save a ball from the water hazard. With an accurate downhill second shot, the golfer may be rewarded with an eagle putt or an easy birdie. This 338 yard par 4 requires a thoughtful tee shot. With a well-placed drive, the golfer has a relatively simple shot over the lake to the green. If the golfer chooses to hit an iron off the tee, the second shot becomes much more difficult to this small green, even without bunkers. The tee shot is deceptively simple on this 393 yard par 4, but there is a real challenge for the golfer on the other end. A deep bunker in front defines the green on this strong par 4. Try to run the ball on the right side of the green in order to avoid a high number. The final tee shot for the back nine is a challenging carry over a lake on this 377 yard par 4 hole. To play away from the water, the golfer may be left with a stymied lie behind the overhanging branches of the lofty oaks. More oak trees hover over the shallow green. A par will be richly deserved and a great way to finish the back nine.